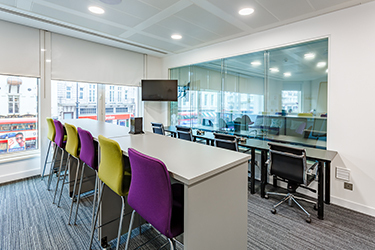 Charing Cross studio and Leicester Square client viewing rooms provide impressive views of the Strand. 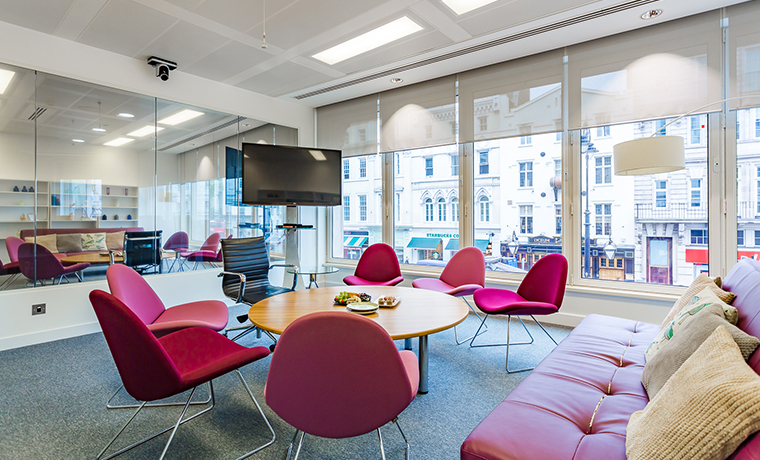 The studio is ideal for consumer groups but all the furniture is mobile and can be moved so we can easily set up any room the way it suits your project. The client viewing room has been created to be exceptionally spacious and can comfortably seat 16-20 people. Translation equipment is built in and has two channel language recordings available.